Since its launch in 2011, the Nelson Mandela Literacy Project has provided 100,000 South African children daily access to reading materials through containerised libraries. Creating a managed fund to provide security and operational costs of the programme. A global icon with a lifetime of achievements deserves to have a 100th birthday celebration. And, who doesn’t love a celebration? Together, we’re helping shape children’s futures by facilitating access to education to reduce poverty. We’re offering you the chance to get involved. Expand the Digital Library to North African and Eastern European underprivileged communities. Develop a Children Connectivity web system to link school communities worldwide to stimulate learning and encourage the importance of diversity and understanding different cultures. 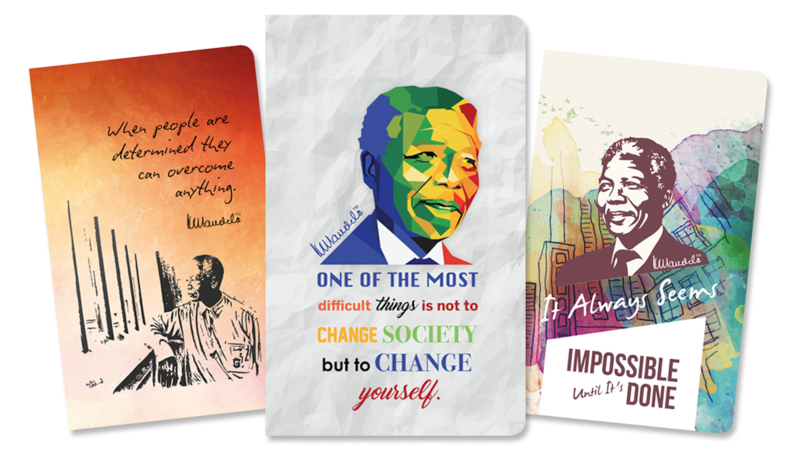 In celebration of Nelson Mandela’s 100th birthday Inspirit have created an exclusive range of premium quality notebooks. The limited edition notebooks are debossed with the centennial logo. 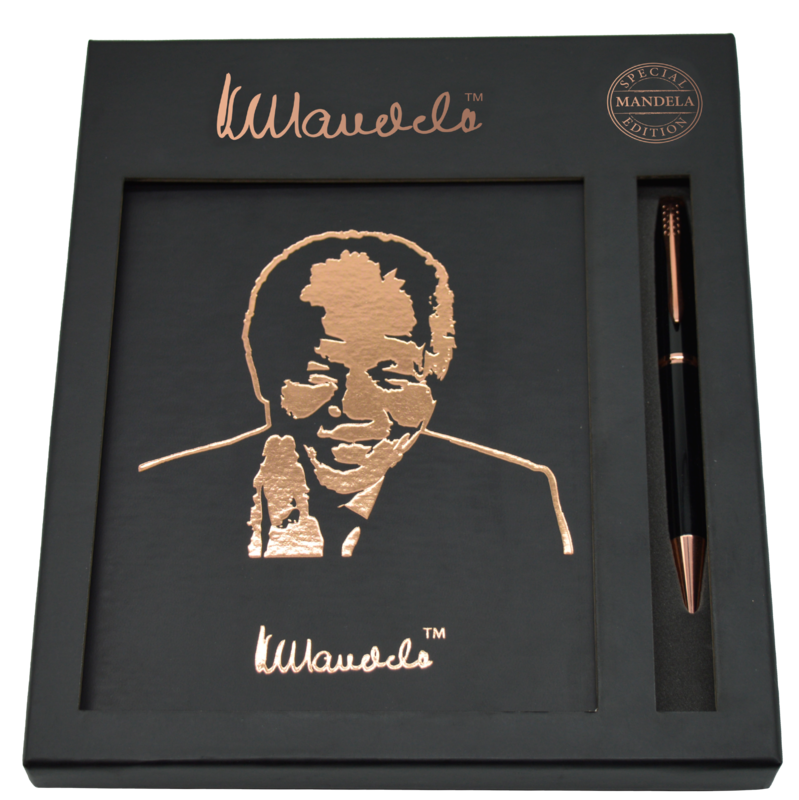 A percentage of each Mandela Eco Notebook will go towards the Nelson Mandela Literacy Project and help shape a child’s future. 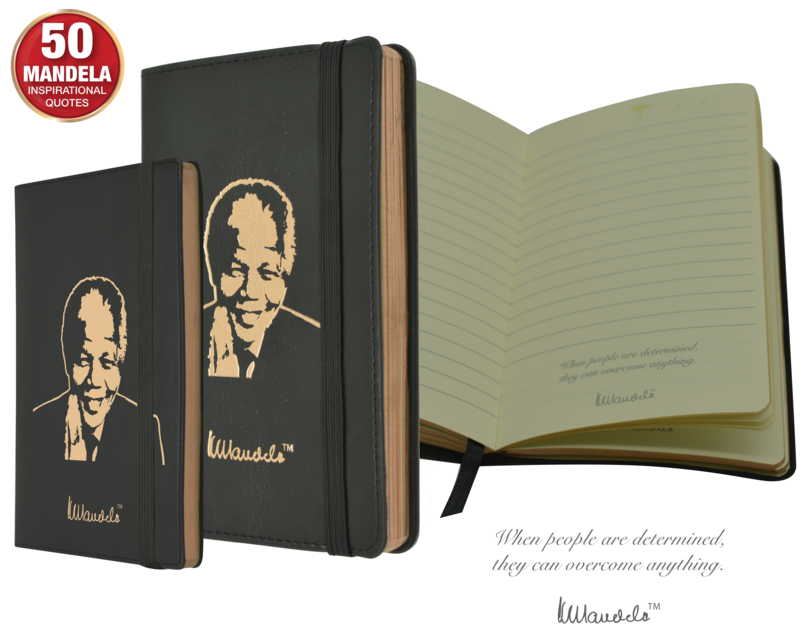 Your Mandela Notebooks and Journals are proudly manufactured in South Africa. The beautiful soft fabrics and vibrant colours espouse quality and longevity. The Nelson Mandela imagery and inspiring quotes are permanently embedded into your book cover. 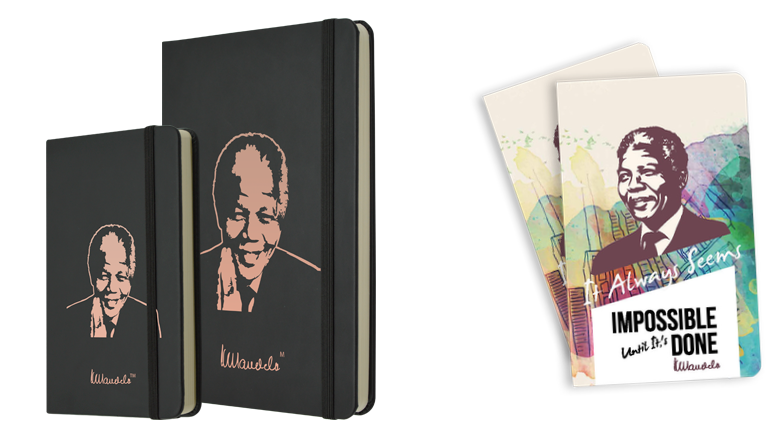 The Mandela notebooks and journals empower you to gather your own aspirations, thoughts, and memories. Your purchase will help empower children to read and write their own stories and contribute to the Nelson Mandela Legacy. A percentage of the proceeds of all Mandela Notebooks and Journals sales are contributed to the Mandela Library Programme in South Africa. The libraries are constructed from old shipping containers and donated to under resourced schools. The library project focuses on early reading in the junior schools to teach children to learn to read. Rotary International are instrumental in procuring inspirational and aspirational books. The libraries are often used as after school homework locations.